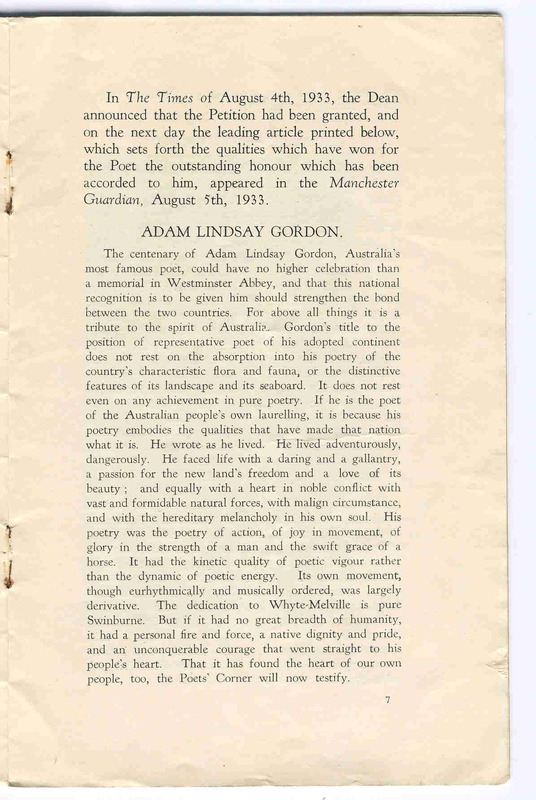 Adam Lindsay Gordon was born in the Azores in 1833. 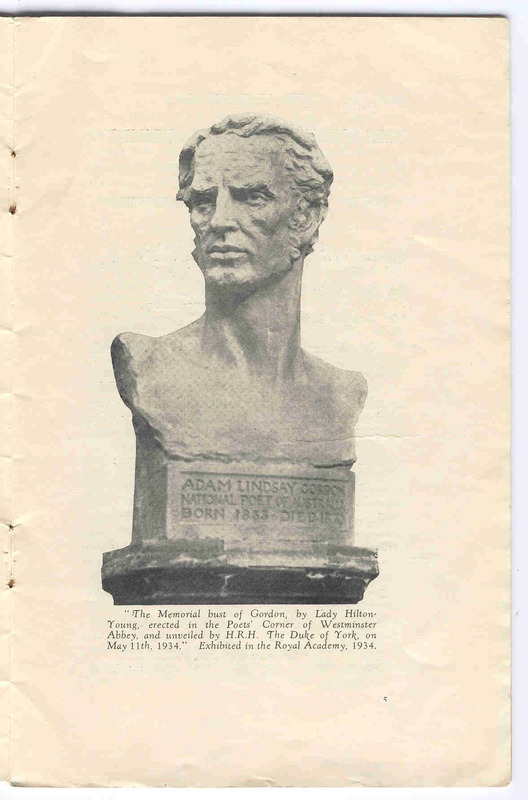 On his family's return to England, Adam was a troublesome, restless boy. 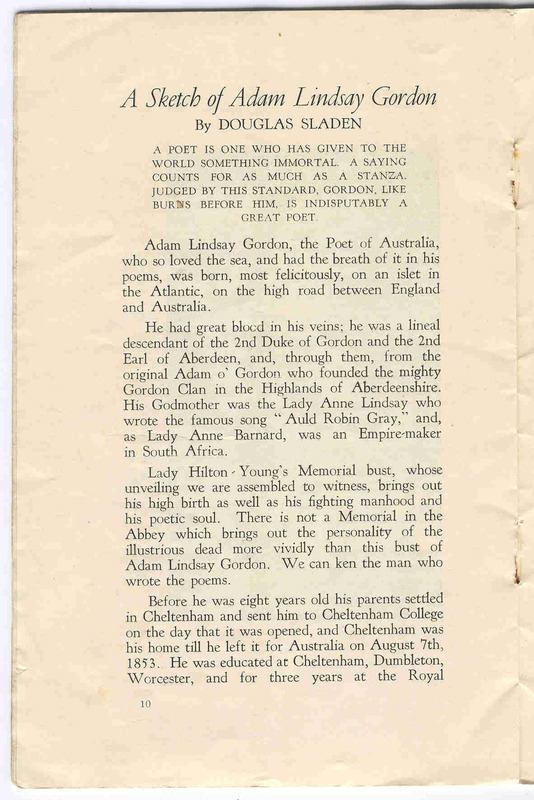 His father, puzzled by Adam's aimless, wild life, sent him to Australia in 1853. A horse-lover, he became a member of South Australia's mounted police for a year. On his mother's death he received £7000 but lost it by buying land unwisely. He married in 1862, and experienced deep sorrow when his baby daughter died. 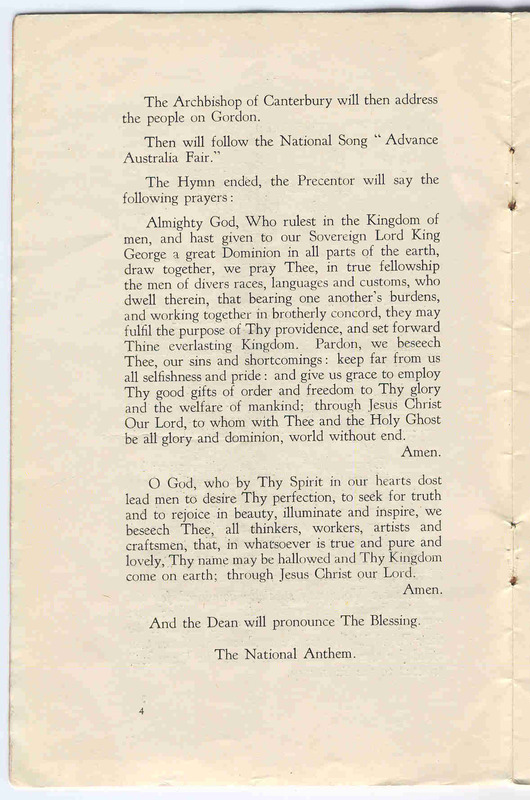 for the south-eastern division he soon resigned. To make money, he rode at race meetings, once bringing in three winners in one day. and suffered head injuries while exercising a horse. 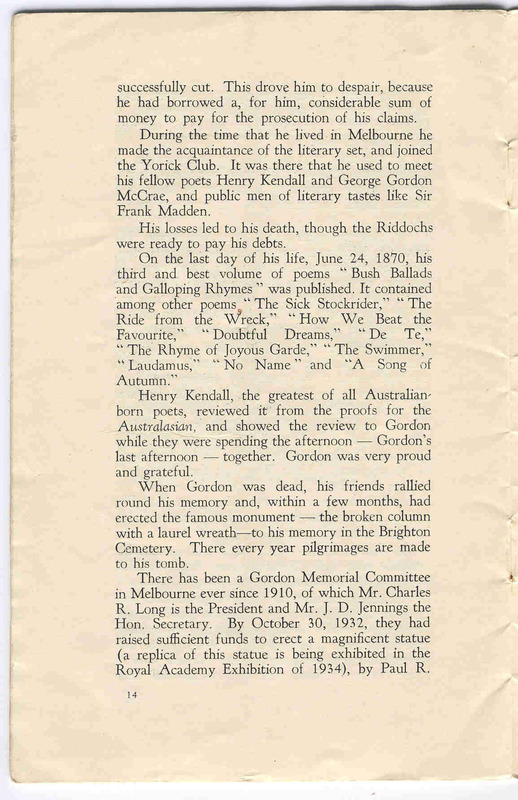 Writing busily in Melbourne, he became known as a poet. Adam injured his head for the second time, in a fall. 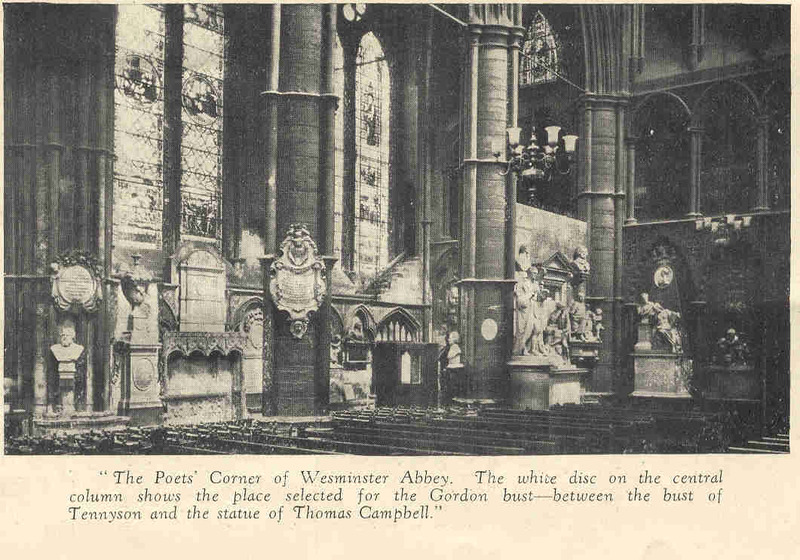 On the 24th of June 1870, depressed by his debts, he took his own life. 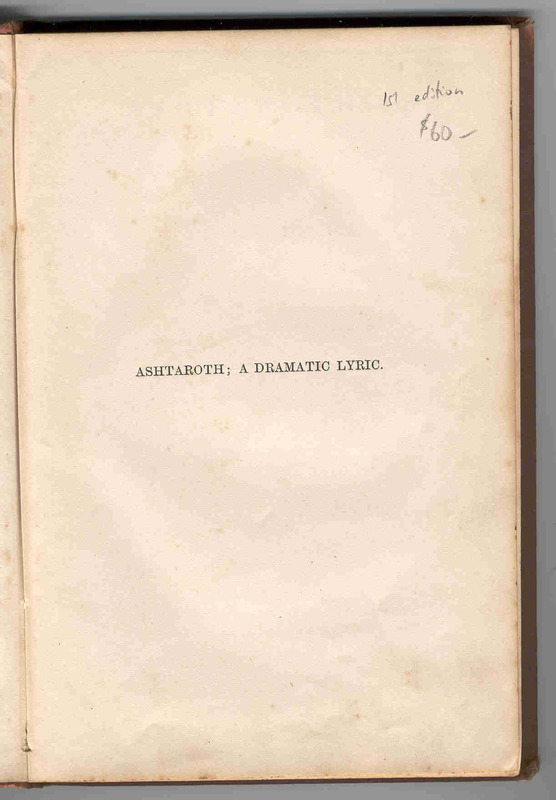 His poetry became popular after his tragic death. 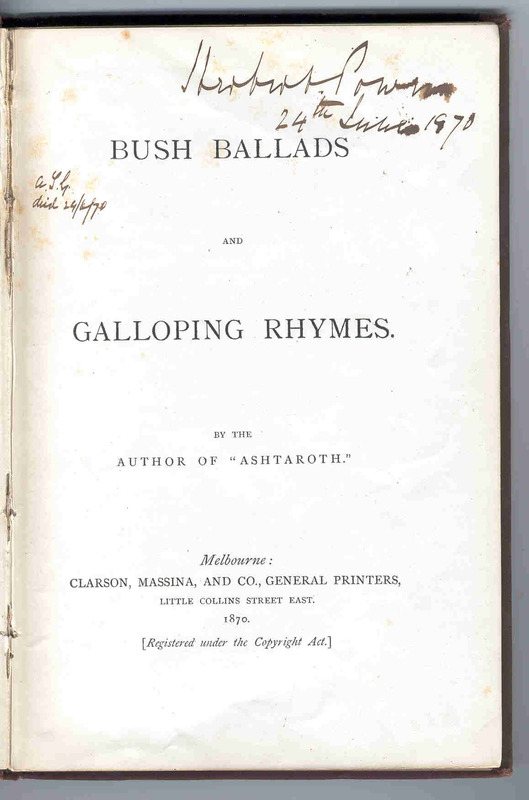 GOOGLE MAPPING - PORT ADELAIDE S.A.
"-Australian Classics- Bush Ballads and Galloping Rhymes. 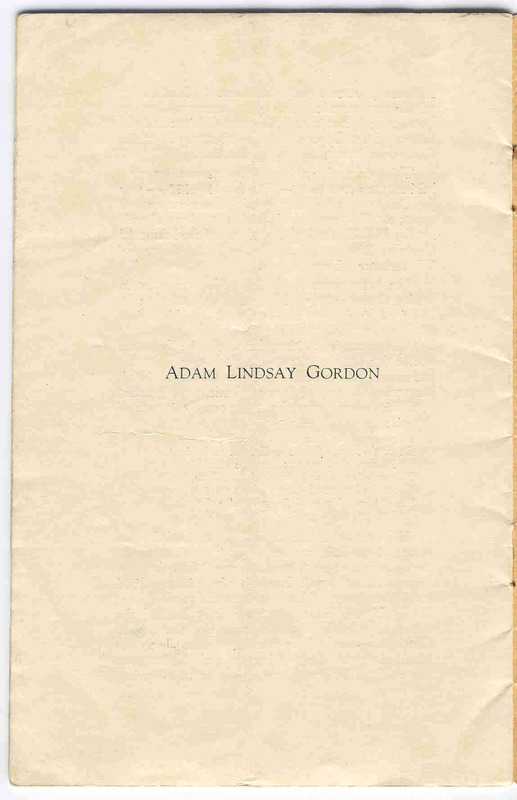 Poetical Works of Adam Lindsay Gordon." you certainly started something. I had been, for a long time, interested in composing simple musical tunes and whistling them to myself. 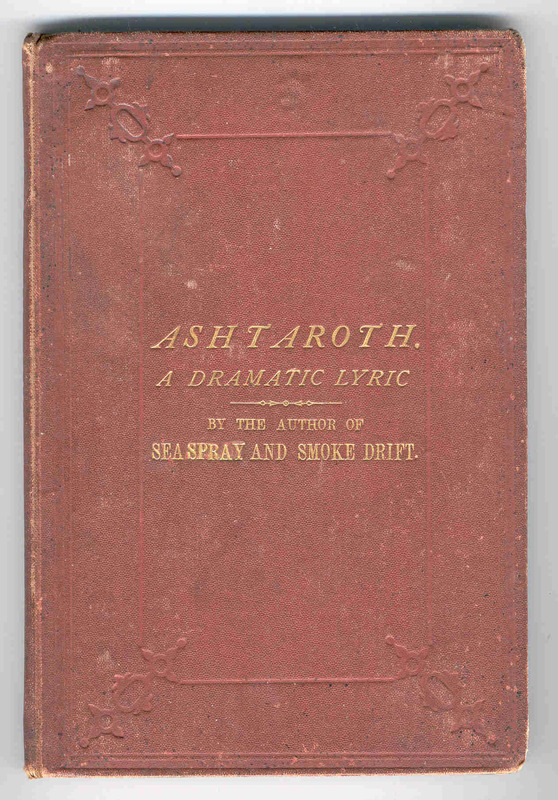 I started to read the poems in this book and found myself singing the verses. I progressed to setting a lot of these poems to music, done after work into the early hours of the morning. 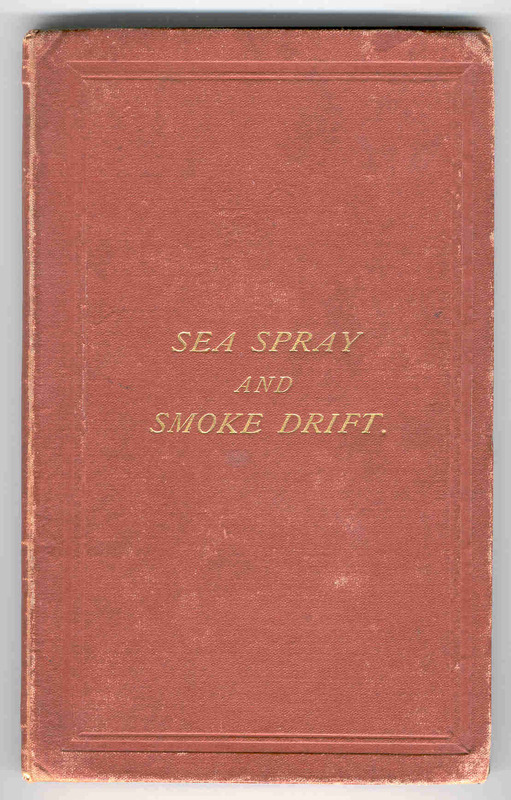 particularly second hand shops, I would go straight to the shelves containing his works. 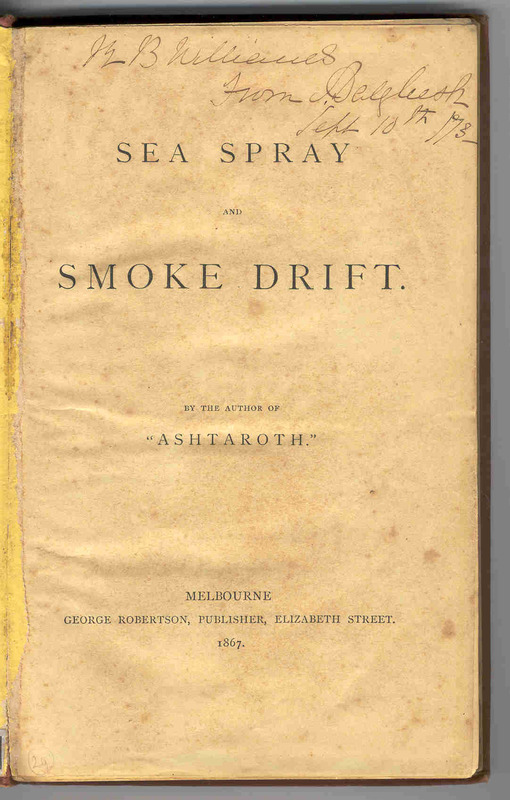 Published in 1867 by George Robertson, Elizabeth Street, Melbourne. 3. 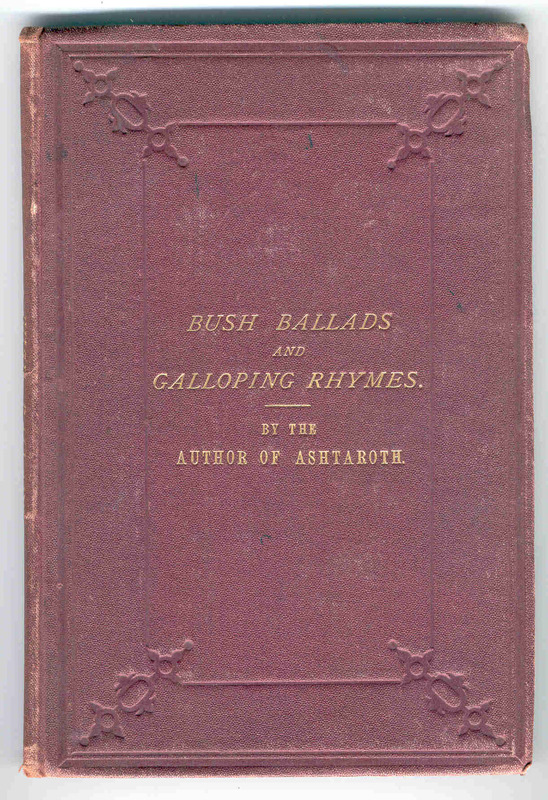 "Bush Ballads and Galloping Ryhmes." Little Collins Street East. Melbourne. 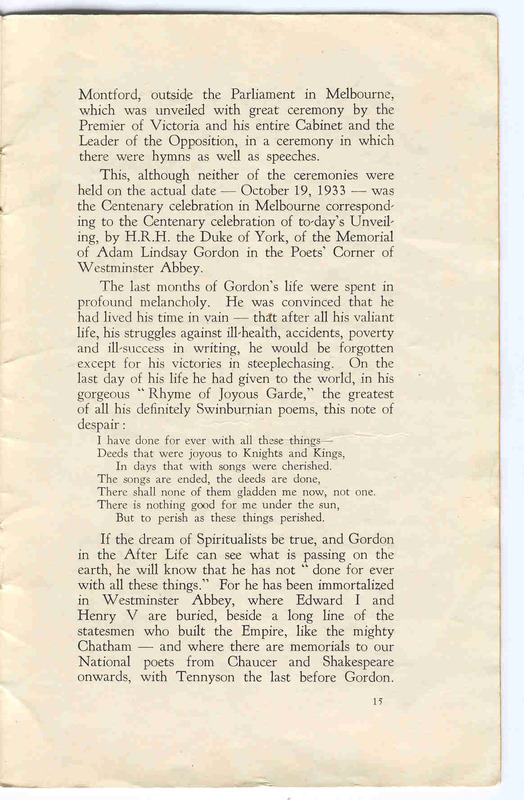 Gordon stayed with Robert Power. 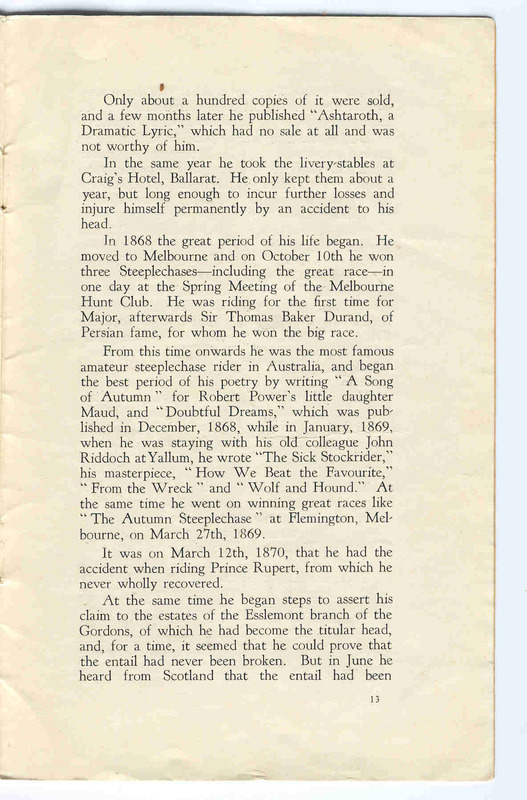 when it was formed at a meeting in Craig's Hotel, Ballarat. 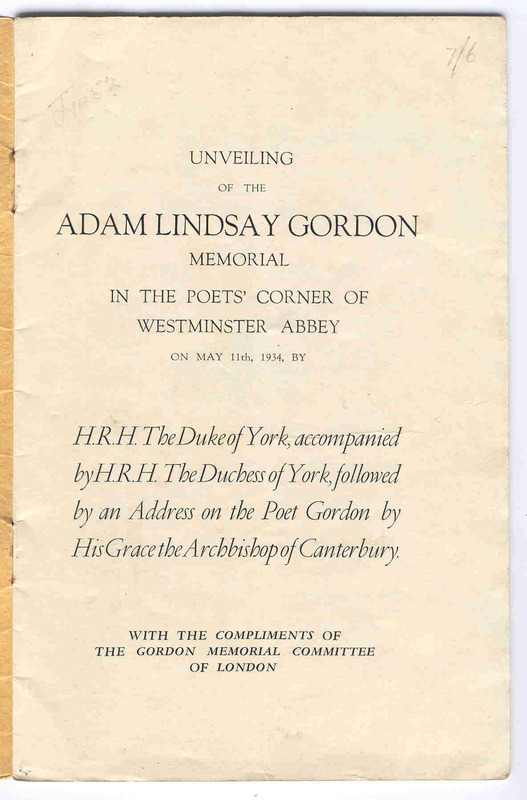 The date on the fly-leaf is the same day that Gordon died, 24th June 1870.
followed by an Address on the Poet Gordon by His Grace the Archbishop of Canterbury. 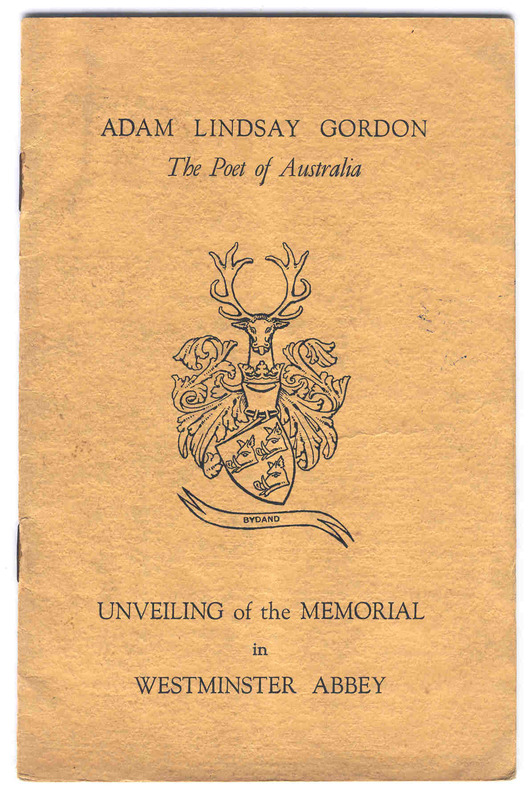 "With the Compliments of the Gordon Memorial Committee of London." situated then at Caulfield Racecourse. 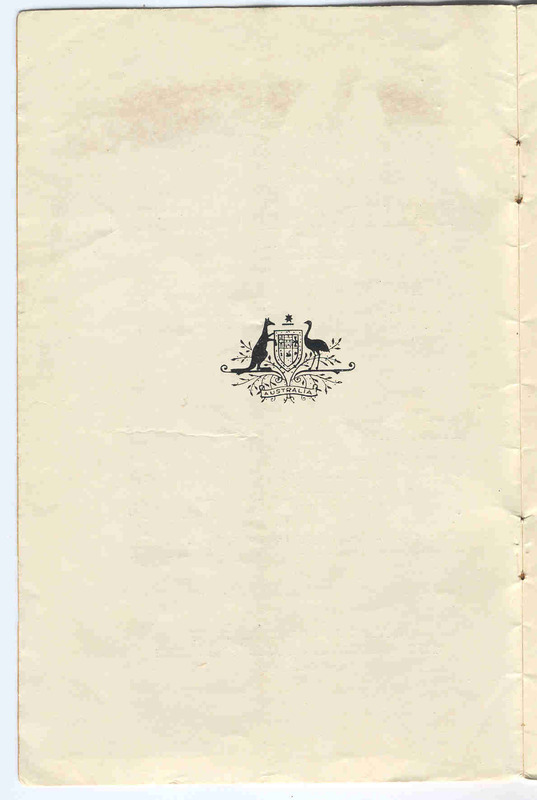 They kindly supplied me with a photocopy of a page from the Committee minutes dated 6th October,1890. 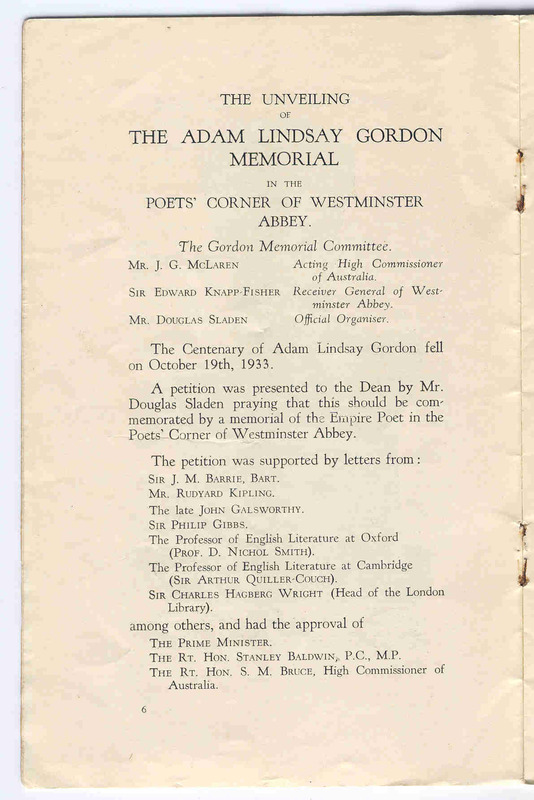 There displayed was the signature of Herbert Power confirming the minutes. 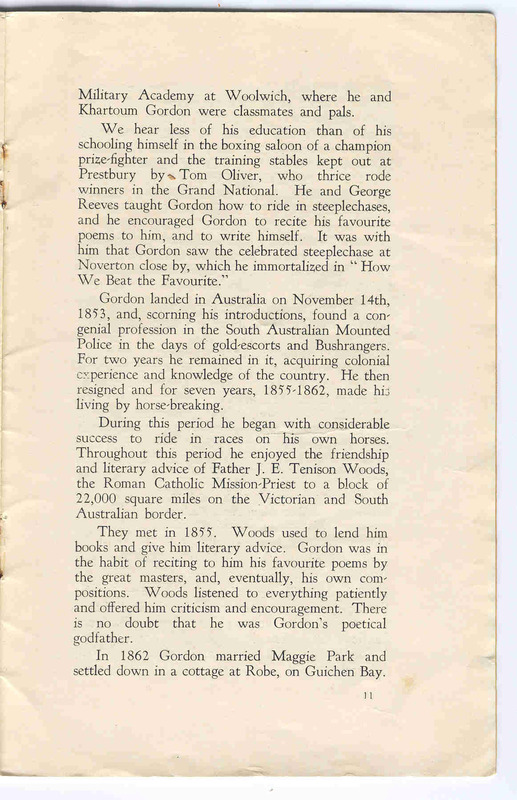 Just recently I contacted the Australian Racing Museum and Hall of Fame here in Melbourne. and decided to form the VATC. GOOGLE MAPPING - Craigs Hotel Further meetings were held in Melbourne on 10 November and 22 November. 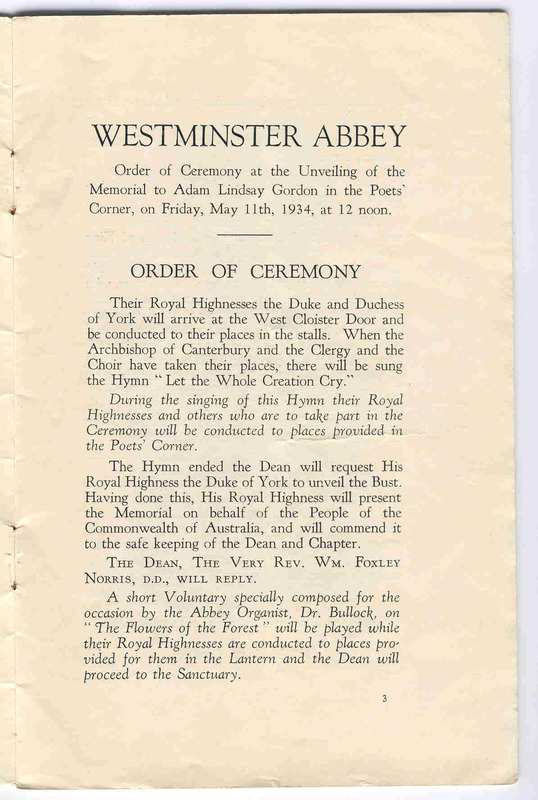 From those meetings came an expanded list of 28 Foundation Members, of whom Herbert Power was one. delivered online by their Webmaestro Unit. Director, National Centre, Australian Studies. 10km from Melbourne. Until 1994 Caulfield was also a municipal city. 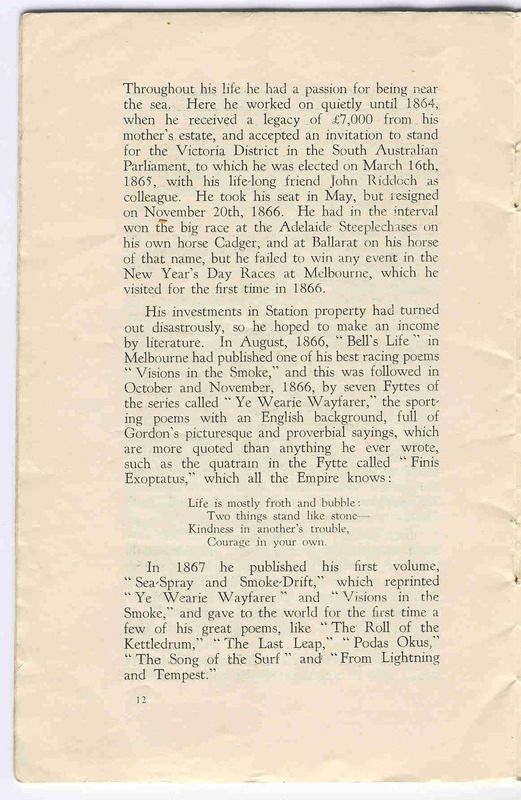 who arrived in Melbourne in 1837, has been suggested as a source. generally in the vicinity of the present race course. meetings at Caulfield. A racecourse was laid out on the site where the Hunt Club kennel was kept. 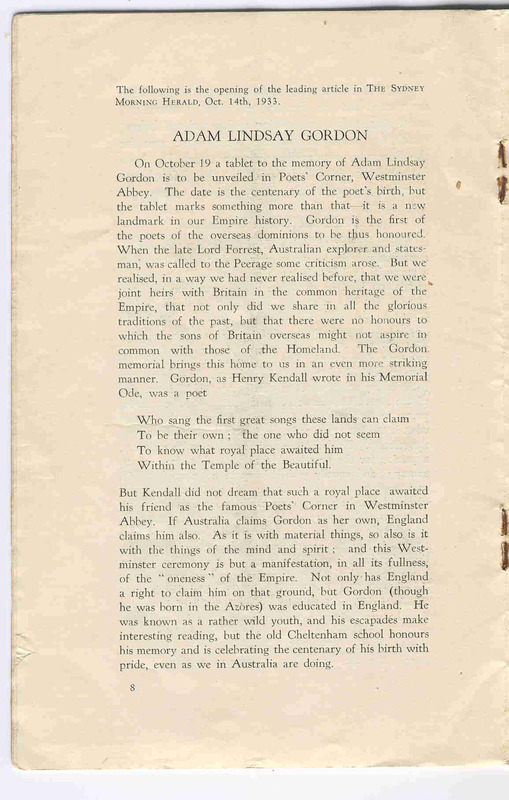 The first Caulfield Cup was run in 1879.